The Fiji Revenue and Customs Service has intercepted stolen vehicles from Australia and New Zealand that have been imported into Fiji for the purpose of resale. Customs Officers had intercepted two vehicles at the Lautoka Wharf which were reported stolen in New Zealand. These vehicles were smuggled into Fiji in the disguise of spare parts and furniture. The Fiji Revenue and Customs Service says interceptions of the same nature were also made by Customs Officers last year for stolen vehicles imported from Australia. It says evidence is being gathered in what is beginning to look like a highly connected network of individuals working within organisations with the intent to make money from proceeds of criminal activity. The accused importer is reported to be a frequent traveler and is known to have travelled to New Zealand between 7th to 12th December last year just a few days after the vehicle was reported stolen. The shipment left Auckland on 20th December last year, a week after the suspect returned to Fiji to clear his consignment. 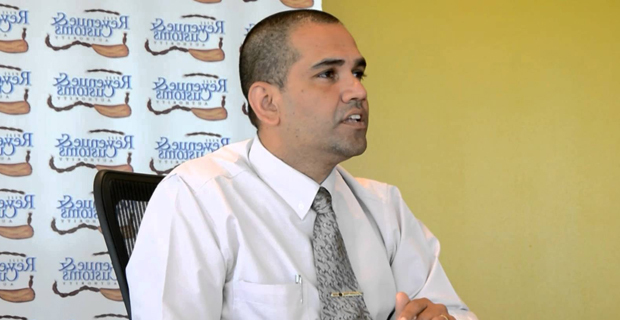 The Fiji Revenue and Customs Service CEO Visvanath Das says under their Customs to Customs Cooperation arrangements intelligence sharing has intensified and they are no longer working in isolation.